In a follow-up to a story earlier this year, the CDC and the USDA-APHIS wrapped up their investigation into how the Burkholderia pseudomallei bacteria, the agent of Melioidosis, may have been inadvertently transferred from a secure, select agent laboratory into animals from the breeding colony of the Tulane National Primate Research Center (TNPRC). Although the specific transmission event has not been identified, plausible mechanisms were uncovered during the investigation. CDC and APHIS inspectors identified lapses in the appropriate use of personal protective equipment; specifically, the correct use of outer wear to prevent contamination of clothing beneath them, which could have led to the bacteria clinging to inner garments and getting carried out of the select agent lab where research was being conducted with the bacteria on mice. The bacteria could have been transferred this way to the breeding colony where the non-human primates resided and/or to the clinic where routine examinations and treatments were administered. Additionally, CDC and APHIS inspectors determined that Tulane primate center staff frequently entered the select agent lab without appropriate protective clothing, which would increase the risk of bringing the bacteria out of the lab or becoming infected themselves. Since Feb. 11, 2015, all select agent research at the Tulane primate facility has been suspended and will remain so until Tulane officials demonstrate satisfactorily to CDC and APHIS inspectors that: Entity-wide procedures exist to ensure animals accidentally exposed in the future are managed appropriately; All personal protective equipment procedures are thoroughly reviewed and revised appropriately to lessen the risk of future breaches; All Tulane primate center personnel are trained on any new or revised protective clothing procedures; and Improved entry and exit procedures to the outside enclosures housing non-human primates are in place to stop any further transmission among the animals. The investigation was initiated when two primates at the Tulane center were diagnosed with Melioidosis (Whitmore’s Disease), a bacterial illness of animals and humans more commonly diagnosed in tropical areas of the world and not found in North America. CDC laboratory analysis completed in mid-January determined that the strain of bacteria that sickened the non-human primates was identical to the one being used in research at the Tulane center. The lab results led CDC and APHIS officials to determine the bacteria, a Tier 1 select agent regulated for research, was not contained. CDC has found no evidence to date to suggest the organism was released into the surrounding environment and therefore it’s unlikely there is any threat to the general population. 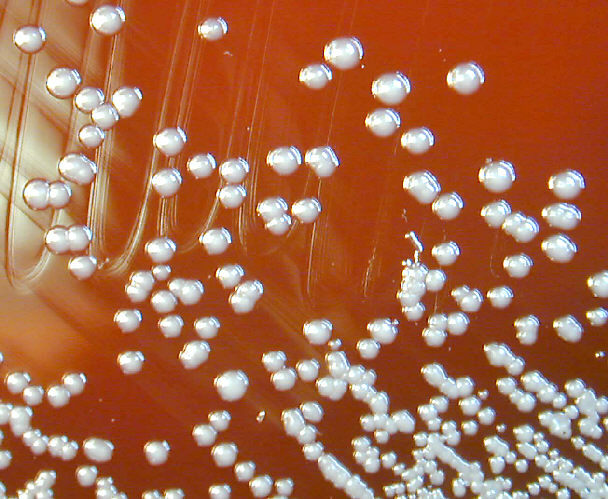 Burkholderia pseudomallei is not transmitted between humans or animals, and the risk of acquiring Melioidosis is low. At this time, none of those workers at greatest risk of exposure or those whose blood samples indicated weakly reactive antibody levels have gotten sick. CDC will continue to support USDA/APHIS and the U.S. Environmental Protection Agency with their investigations in the Tulane primate breeding colony to ensure the health of the center’s employees and the community.